Today, June 28, is recognized worldwide as World Sexual Diversity day. 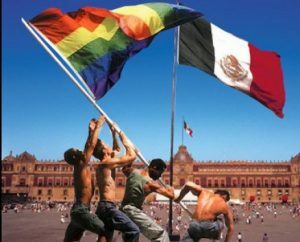 The Mexican government has been investing in changes that are in favor of the acceptance and respect of sexual diversity around the country. Not only that, but México also has several states and communities which are LGBTQ+ friendly, including Cancún and La Riviera Maya. 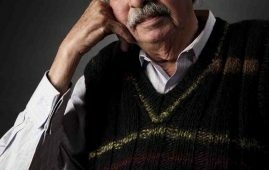 According to El Diario de Yucatán newspaper, the National Institute of Social Development (Indesol), with an investment of more than $1.5 million pesos from the government, benefited 91,734 people. Such assistance was made through social projects which strengthened the respect of human rights and non-discrimination of the LGBTQ+ population. The federal government stated that the resources of the Social Coinvestment Program were destined to organizations in Mexico City, Hidalgo, Guanajuato, Michoacán, Puebla, San Luis Potosi, Sonora, Queretaro, Tlaxcala and Zacatecas. In 2016, the government released a statement where they co-inverted among seven civil society initiatives to improve the living conditions of the LGBTQ+ community. For instance, through actions such as the eradication of violence and non-discrimination against transphobia; bolstering access to services and supplies for sexual and reproductive health for LGBTQ+ people. Furthermore, in regards of LGBTQ+ friendly places around the country, Cancún and La Riviera Maya are among them. These two places count with a certification from the International Gay and Lesbian Travel Association. Playa Delfines, Las Perlas, and El Parque de las Palapas are well-known places where the gay community can freely walk around. There are other resorts and hotels which are gay-friendly, such as Oasis Sens, Viceroy Riviera Maya, Playa Palms Beach Hotel, and the Secrets The Vine, among others; as well as bars and clubs like Karamba Bar; Picante Bar, and Sentimientos Bar.